Theme is packed with all required M 1& 2 Extensions such as Instant Search, Look-book, Popup, Ajax Cart, Mega Menu, Daily deals, advanced reports, Quick view, color swatchers, Ajax cart, products questions M1, shop-by-brands…with No Price. Supports 20+ homepage layouts and tons of options for shop, blog, portfolio, store locator layouts and other useful pages. Claue will meet & fit any kind of eCommerce sites as you imagine. 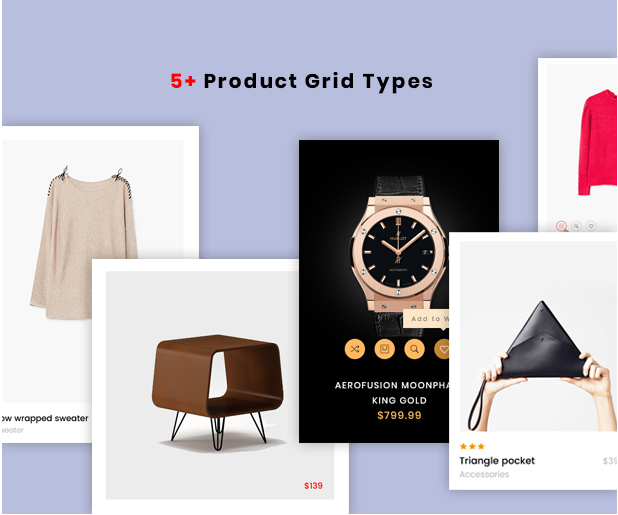 Furthermore, it promises to bring a bright and organized Product Page with 5 + product Grid Types such as zoom & light box for Gallery, lazy-load, 360 product image view. Take a glance on Demo and experience entirely new and latest theme functionalities.